UK Prime Minister David Cameron is expected to sign a nuclear power deal with China in the next month, where China will be developing a prototype nuclear reactor at a site in Bradwell, Essex. The completed deal will be part of a wide-ranging civil nuclear pact between Britain, France and China, that is expected to be finalised during Chinese President Xi Jinping’s state visit in October. The agreement for construction of the nuclear facility in the UK will be made in exchange for China’s financial assistance for construction of two new facilities at Hinkley Point in Somerset and Sizewell, Suffolk, reports Daily Express. 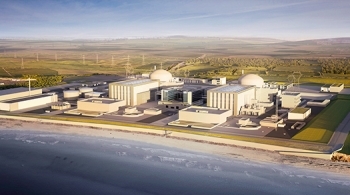 Both the Hinkley and the Sizewell facilities will be set-up by French EDF Energy. Hinkley Point, which is UK’s first nuclear power construction in almost 20 years, is already facing delays. It was originally scheduled to start commercial operations in 2017, but this has been delayed until 2024. Issues concerning funding for construction and the EPR reactor design have held up the project. The £24.5bn nuclear plant is integral to the UK, as it has set a low-carbon target to help the country replace its ageing fossil fuel facilities. Hinkley Point will be equipped with two 1.6GW EPR reactors to deliver 7% of the country’s power requirements.